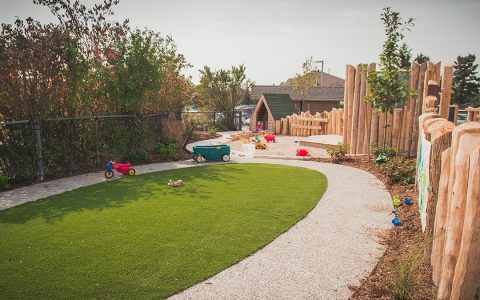 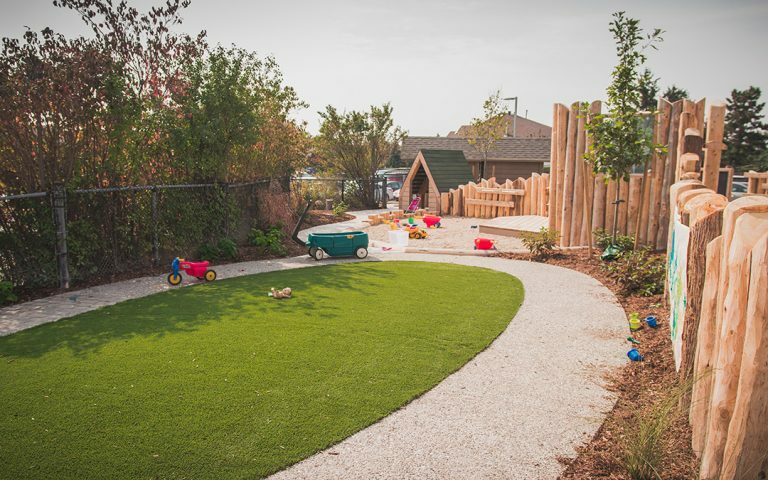 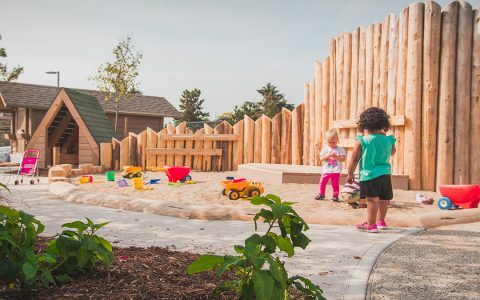 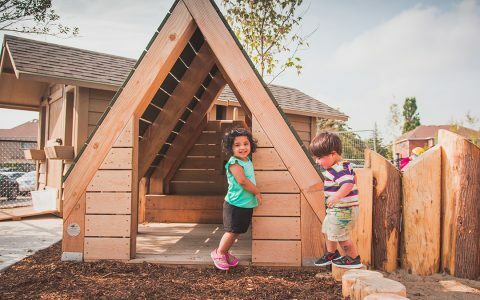 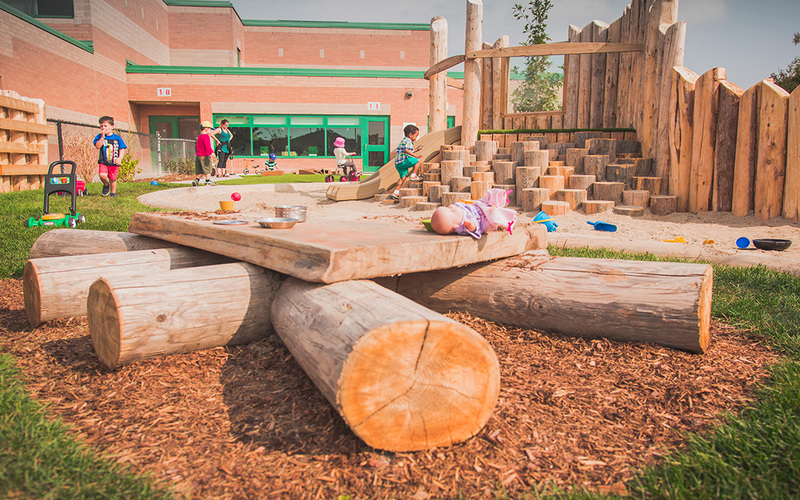 The natural playground at St. Bernadette Elementary School allows children to create their own play with non-prescriptive natural elements and materials. 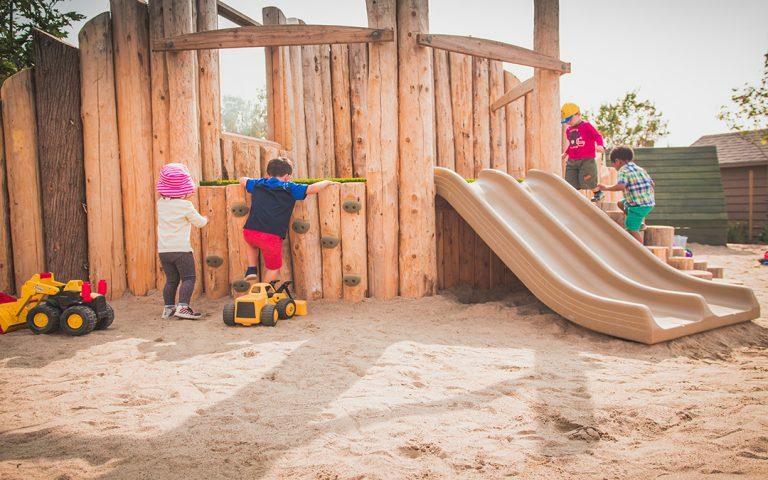 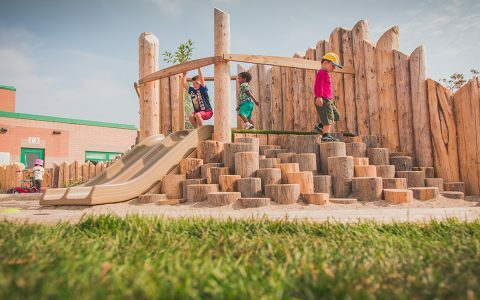 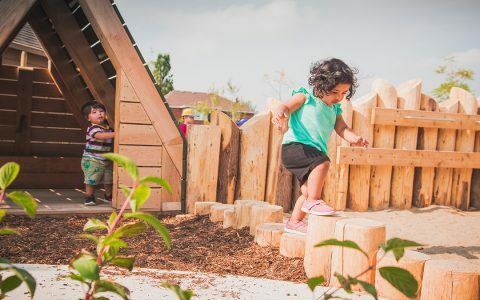 The log palisade wall divides the space into two distinct areas with even smaller zones of activity that give children multiple opportunities to play. The wall also allows for the incorporation of a slide platform and a stage deck on the opposite side. 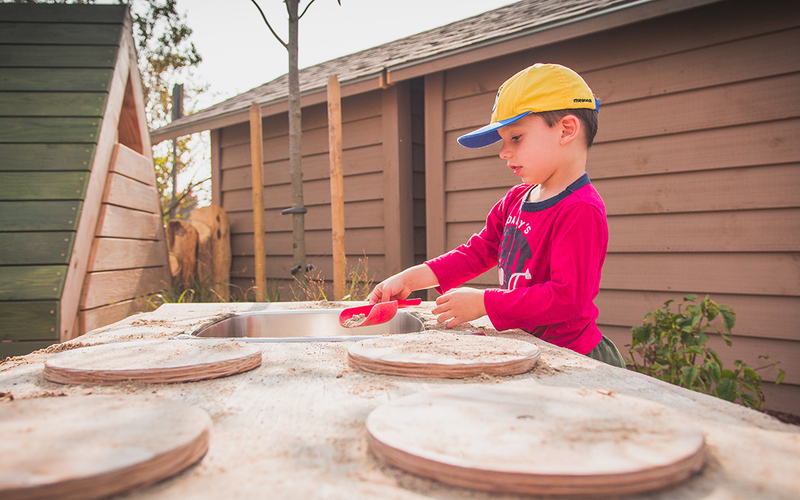 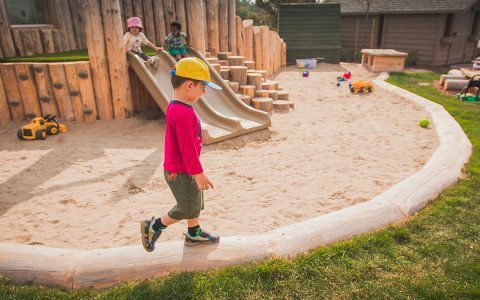 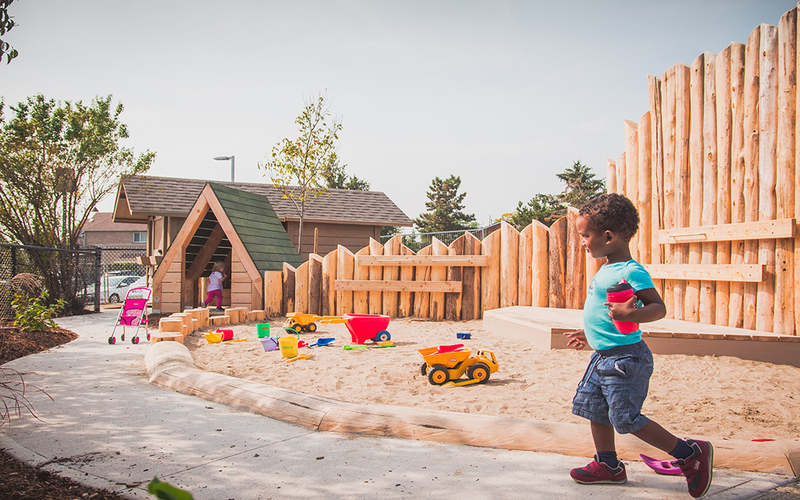 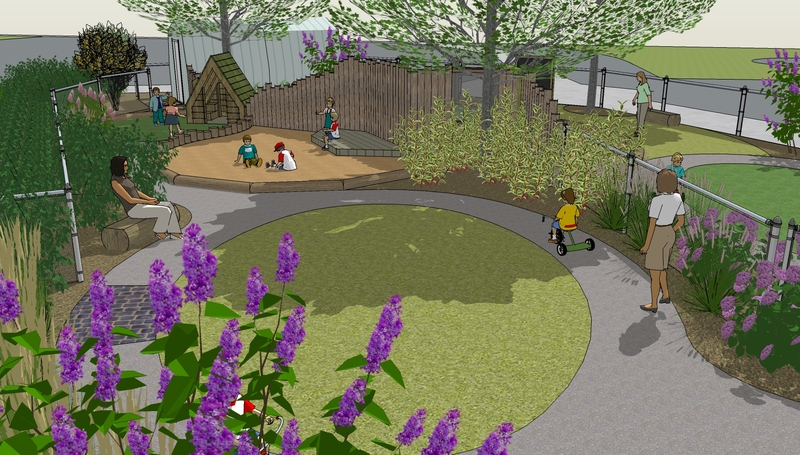 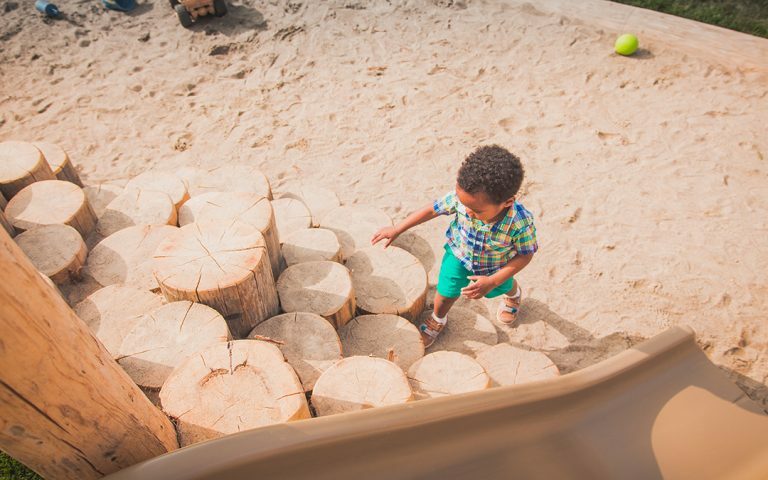 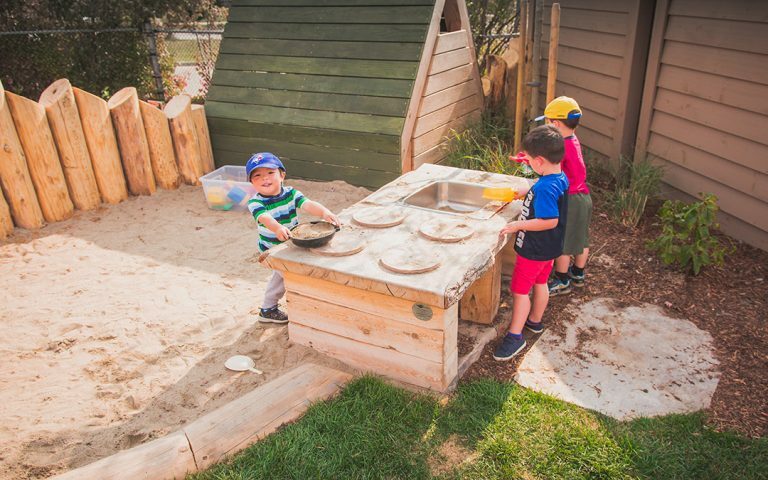 Sand play areas with log edging and an outdoor kitchen allow opportunities for creative play around the playground. The hut allows for quiet play and contemplation within the playground.